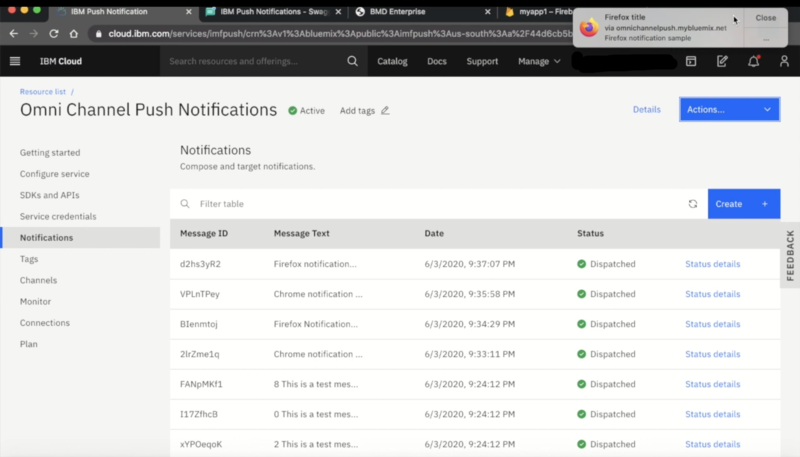 The Push Notifications service provides a unified push service to send real-time notifications to mobile and web applications. 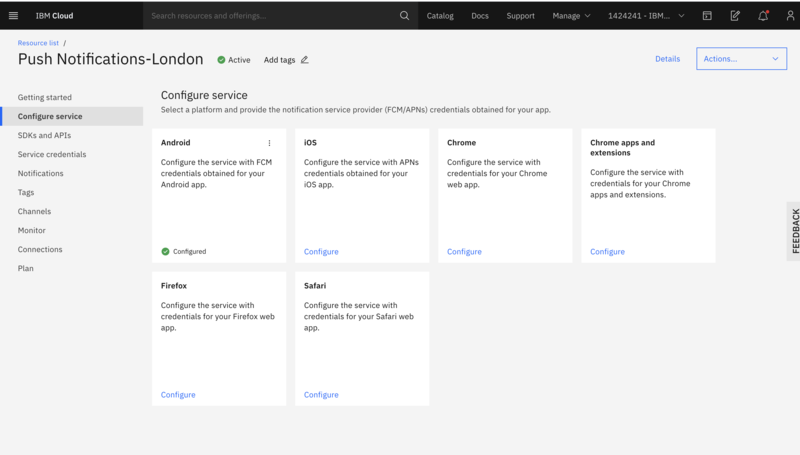 The service provides the ability to personalize and send notifications to a segment of users, single user or broadcast to all users. 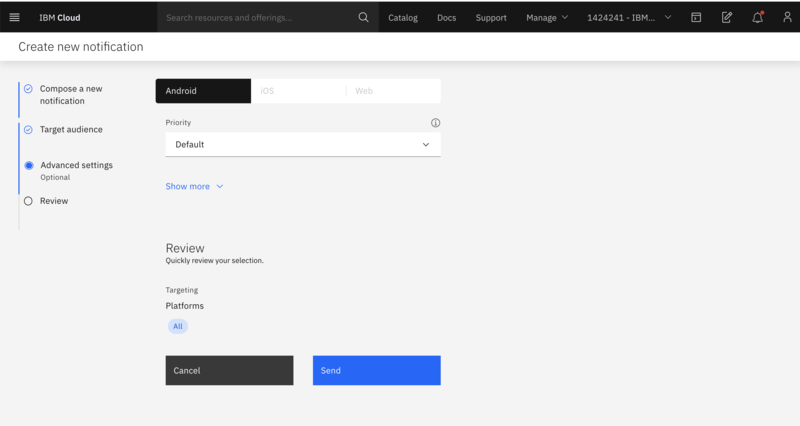 You can send messages as push notifications to either all application users, or to a specific set of users or devices. Both interactive notifications and silent notifications are supported. 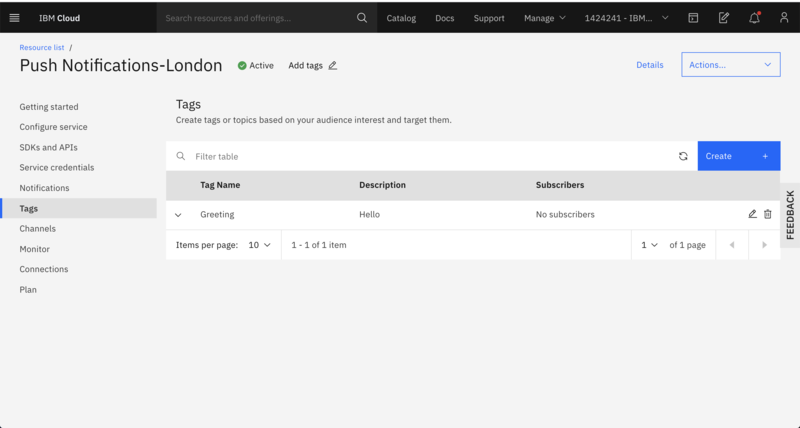 Customers can also choose to subscribe to specific tags or topics for notification. 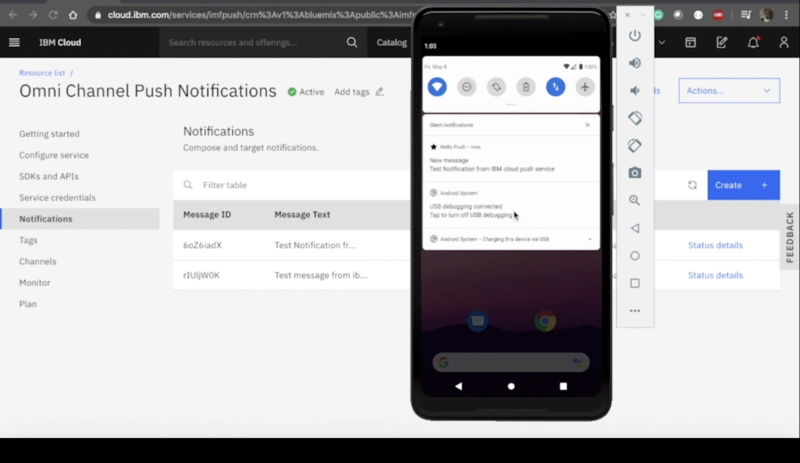 The Push Notification service also enables you to analyze the number of devices that are registered to receive notifications and the number of notifications sent.